Looking For Air Conditioning Repair Services Near You? USA Pro-Vac has years of experience repairing and servicing air conditioners, heaters, and other HVAC units. Our company is family proudly family owned and operated, and we're founded on the principles of honesty, integrity, and accountability. We don't settle for anything other than the best, and you shouldn't either! That's why our team fully adheres to the high HVAC standards set by NADCA, and we treat our customers and their homes or businesses with the same respect as if it were one of our own. 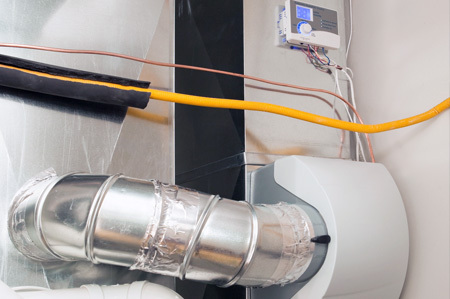 Each member of our team is EPA/NATE certified, and fully equipped to handle any and every HVAC job. Not only do we provide exceptional air conditioning repair services, we also offer air quality solutions for your home or business. In order to make your home as comfortable as possible, you need to add moisture to the air. Doing so reduces dry throat and skin, static shocks, keeps furniture and your home from drying out, and increases energy efficiency. It's known that a home with moisture can feel warmer than a dry home, even at lower temperature settings, and an automated home humidifier is the best cure for indoor dryness. "I was so IMPRESSED WITH how impeccable your company was. The men out here were very professional, and kept me informed at every step. They arrived promptly. Cleanup before they left Felt that they represented the company to the and left me with a great impression. I am glad to of had this crew work with me. Thank you for their professionalism. HIRE THIS COMPANY!!!!!!!!" "Awesome job done today. Our techs were very friendly, speedy, and informative. Cleaned up the slight mess that was made in the basement! Would highly recommend and would use again if we had to!" For all of our air conditioning repair needs, contact us today for a FREE estimate! We proudly serve the Livonia and Southeast Michigan areas with our air conditioning, furnace, and HVAC services.